On Wednesday, Wendy, Kimble, and I were blessed to have serviced the teachers at Kamehameha’s Anahola Preschool on Kauaʻi. We had the best time and truly bonded with the staff there. We broke up into three teams and went on separate huakaʻi to learn more about Anahola. Our task was to integrate technology and train our teachers be able to reproduce projects in the future. My group visited Anahola Beach and created this cool iMovie Trailer. Just traveling to the site in cars created an opportunity to bond. We had a blast. We had Hawaiian food for lunch, catered by Mark’s Place. Ono. After saying our heartfelt goodbyes, we went to Kapaʻa Town to holoholo. We stopped by Kimi’s husband’s shave ice stand. Iʻve been wanting to come here for a long time. It was amazing! This was the best shave ice that I’ve ever had. So happy! 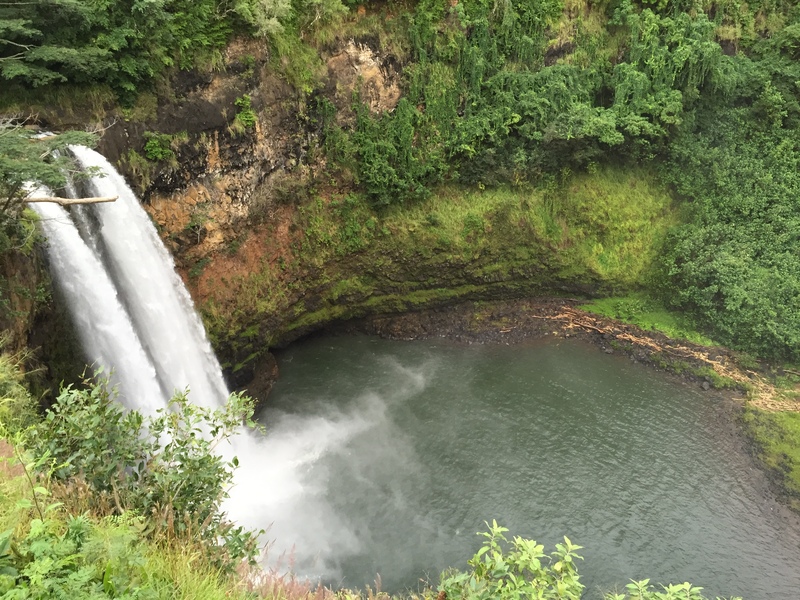 We then drove out to Wailua Falls (click to enlarge.) Pretty awesome site…. After a couple of “Sleeping Giants,” we had dinner at Hamura Saimin. So comforting. Quite an amazing day. Made new friends and new memories with some old ones….